The Scion is the newest class introduced with the release version of the game. It's available to play only after you've completed the main quest line in Act 3. 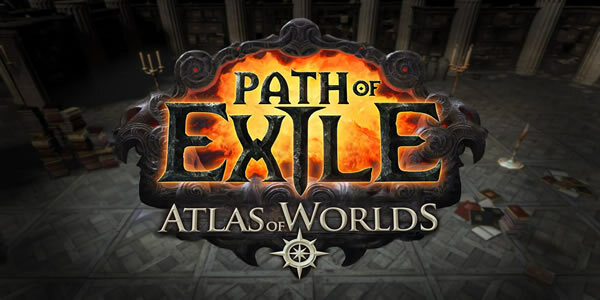 Located in the center of Path of Exile's massive skill tree, it has the ability to reach opposite ends of the skill web. The Witch starts off with some amazing Mana support, which can be crucial for your build. The amount of mana and mana regeneration directly ties into how many skills you can use. The Witch also has great access to Minion buffs, Energy Shield, and spell damage passives. The Templar has an incredible starting area for melee and magic users. You'll have access to good damage and life talents almost immediately. Otherwise it's a very strong class to use for strength based Melee users, or Spellcasters, especially Fire damage ones. The Duelist class is a very strong choice for life based Melee or Bow/Projectile builds. It has fantastic life regen nodes available, strong damage passives, good armor or evasion- basically anything you would want for a Melee or Bow build. The Shadow class has amazing critical strike passives. So much so that any build centered around critical strikes will certainly end up in the Shadow's skill tree. The Shadow's skill tree tends to focus on a mix of Energy Shield and Evasion defenses. The Marauder is one of the most popular starting classes for a reason. The Marauder has quick access to the "Blood Magic" keystone, which fully depletes your mana pool and allows you to cast spells using life instead of mana. Lots of health and resistances are available immediately. The Ranger is a fantastic starting class for Bow or Projectile attacks, or classes utilizing Evasion and Life. A physical based bow build is a very strong reason to pick the Ranger. For further details regarding the basics of the game, you can go to website directly.